Whilst Bonhams’ classic car auction at the Beaulieu International Autojumble may have lacked the glamour and glitz of their Chantilly Concours d’Elegance sale run in parallel at the weekend, Bonhams’ more down-to-earth National Motor Museum sale saw some exceptional results achieved for more than half of the 90 or so cars entered, some of which realised record auction prices. 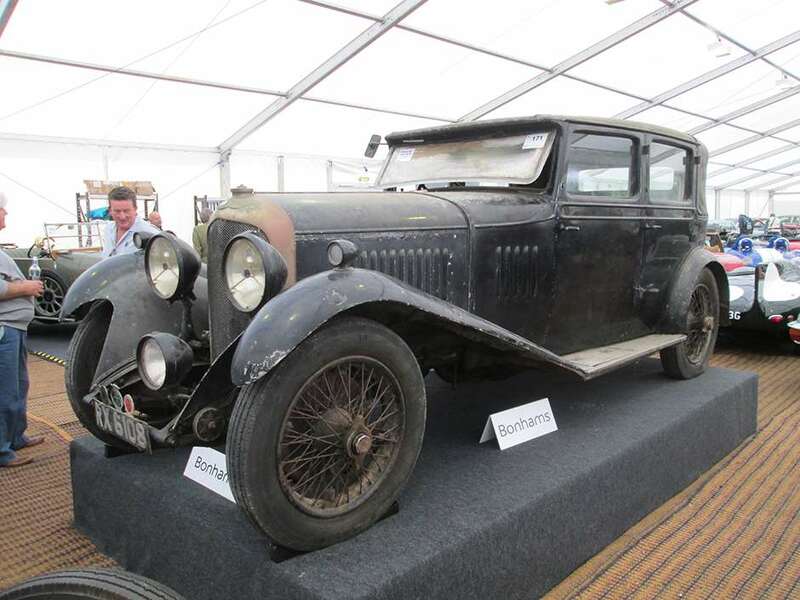 Star attraction was a 1929 Bentley 4 ½-Litre sports saloon, a recent discovery that had been in the same family’s ownership since 1935, and stored for the last 30 years. This imposing Mulliner-bodied four-door saloon was tatty, but in remarkably original condition. Against an estimated value of £150,000-£250,000, with the owner family believing it to be worth around £25,000, the final hammer price for this exceptional 4 ½-Litre was an amazing £695,900 all in, much to the surprise and delight of the owners! 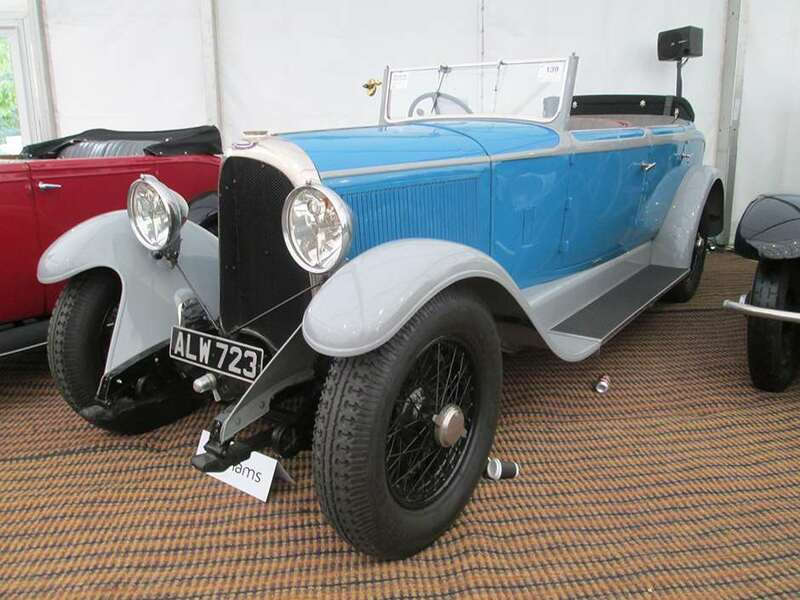 Another quality 1920’s four-door tourer at the Bonhams sale was a charming two-tone blue Voisin C12. Clothed in uncommon R Duvivier coachwork, this fully restored example was the sole roadworthy survivor of the 60 Voisins originally built to this specification. Estimated to achieve around £200,000, the hammer fell at £219,900 for this unique C12 Tourer. Post-war classics also performed well. 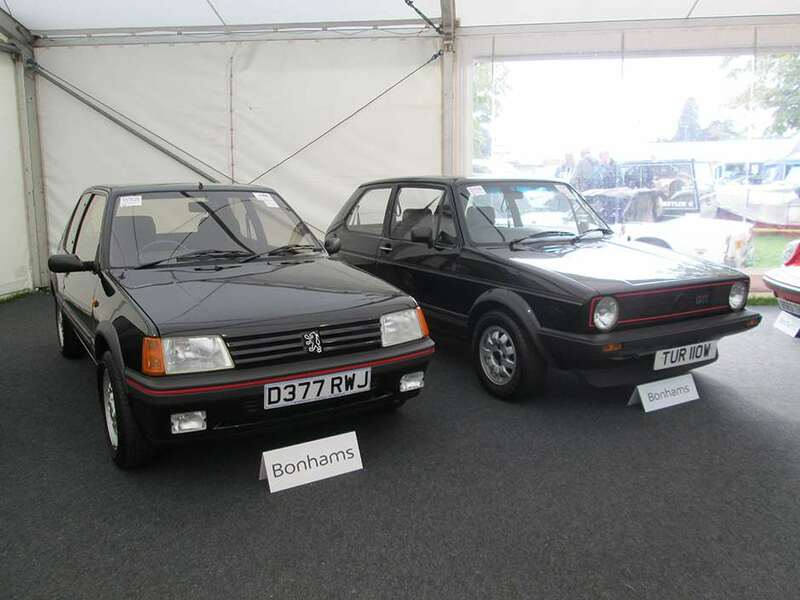 A clean 1981 Volkswagen Golf GTi fetched a healthy £16,100, with a low-mileage 1987 Peugeot 205 GTi making a strong £11,500, and a trio of Jaguar E-types creating lively bidding in the auction marquee. Famed astronomer Sir Patrick Moore’s beloved 1953 Ford Prefect – just the thing for the Revival Car Show car park – seemed a positive bargain at just £2,000, whilst the late Lord Richard Attenborough’s appealingly understated green 1984 Rolls-Royce Corniche coupe, achieved £34,500, more than double its estimate, in spite of needing re-commissioning. Bonhams strong prices weren’t just limited to the tidy road-ready lots though. A selection of project cars in need of complete restoration also drew much interest and strong money. A previously over-enjoyed 1968 Triumph TR5, estimated at £5,000, made £18,400, while a sporting 1912 Napier 15HP Tourer achieved a near-£21,000 hammer price against a £5,000-£8,000 estimate. A rare 1950 Bristol 402 drophead project, in need of considerable TLC, made a jaw-dropping £104,540 against an estimate of £30,000-£50,000, this being a record for a 402 in unrestored condition, and a sorry-looking 1969 Aston Martin DB6 Vantage made a strong £164,000. 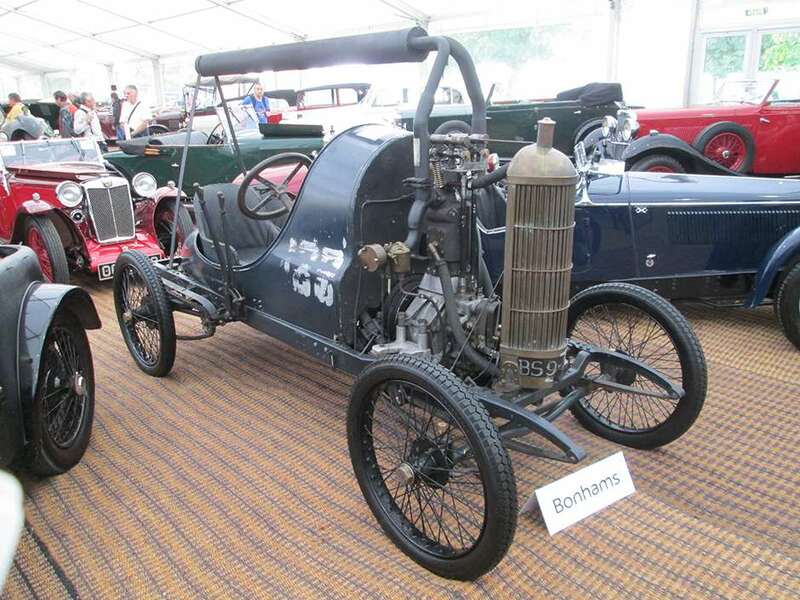 An intriguing pair of unusual lots at the Beaulieu sale included a painstakingly accurate replica of the bizarre 1909 Lion-Peugeot racing voiturette, as raced at Brooklands in period. Rebuilt from an original rolling chassis, discovered some time ago in a French vineyard, the distinctive monoplace Lion-Peugeot has its exhaust mounted on high, above the driver’s head. It was sold for £46,000. In huge contrast, a 1980’s six-wheeled Hustler Mini-based kit car, styled by the talented Aston Martin Lagonda designer William Towns, and replete with large sliding ‘patio doors’ made an astonishing £9,200. It’s unlikely that one of these would have appeared at Chantilly! Unique Lamborghini Concept S: What are we bid?